The Italians are a nation of discerning food lovers who really care about the provenance of what they eat. But on my long weekend with Citalia, I was wondering what to eat in Florence, concerned that in such a tourist hotspot I’d only find unremarkable, dumbed down versions of Italian food. In fact it was just the reverse and by understanding a bit of the food culture, following my nose and taking some recommendations from the Citalia concierge I managed to eat extremely well. 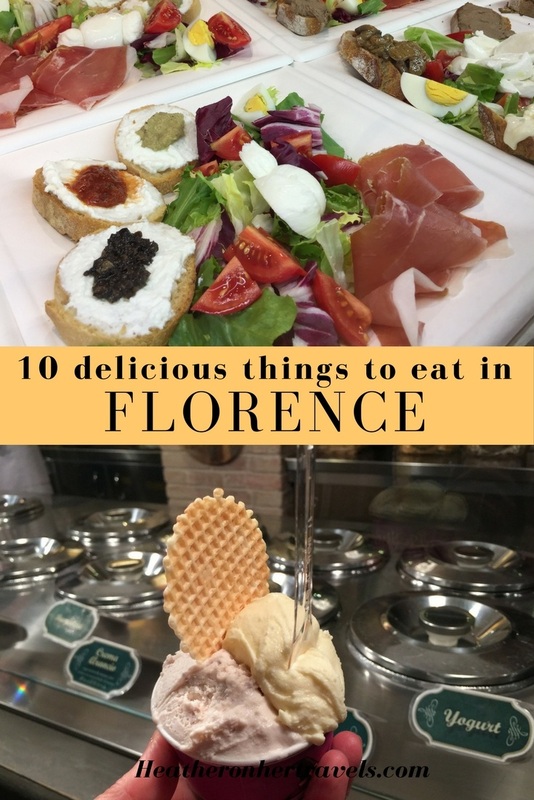 If you’re planning a trip to Tuscany, here are a few of the delicious things to eat in Florence, as well as our tips on where to eat in Florence. 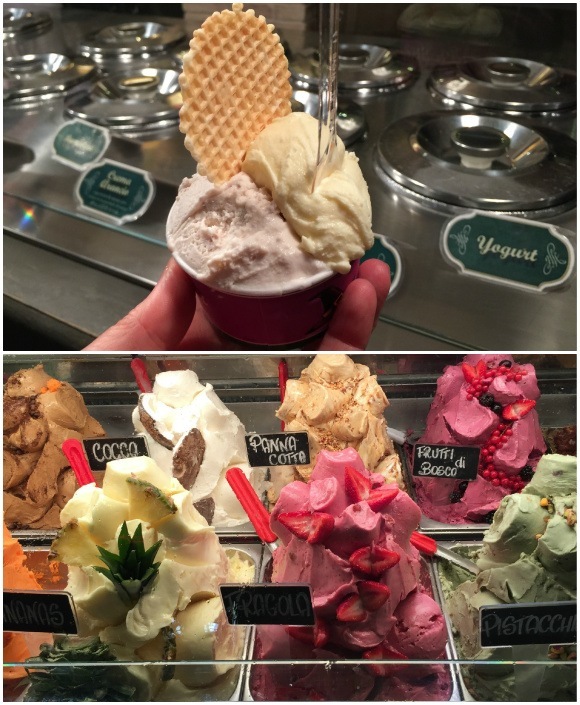 You can’t come looking for food to eat in Florence without enjoying a gelato (or three or four). But when you’ve tasted a few you start to realise that there’s gelato and then there’s gelato. There is the gelato that is sold along the main tourist streets, piled high in brightly coloured mountains, which I’m sure tastes perfectly fine. 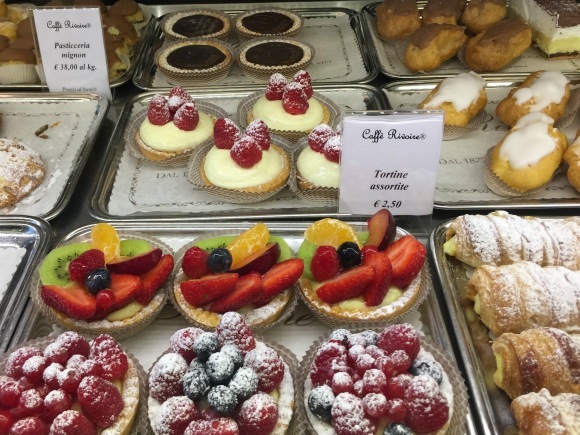 But if you are aspiring to be part of the gelato cognoscenti you need to look out for gelato artiginale – it means that the gelato is made on the premises from fresh ingredients. Although the colours may be more subdued since nothing artificial is used, the flavours will be fresh and authentic. 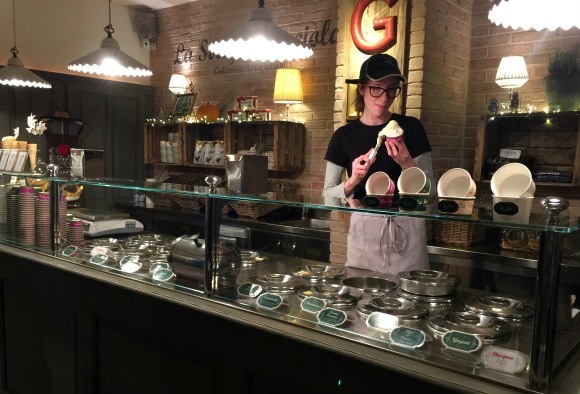 A gelateria artiginale will often sell the gelato in covered metal containers so you need to choose the flavours from a list rather than by looking at the gelato on display behind the counter. La Strega Nocciola (Via de’ Bardi, 51) – close to the Ponte Vecchio on the south side of the river, with a stylish, modern feel and room to sit inside while you contemplate what you’re eating. The gelato was absolutely delicious! Vivoli (Via dell’Isola delle Stinche, 7) – tucked away in the backstreets near Santa Croce it’s a small, old fashioned looking cafe and gelateria with plenty of tempting cakes too. Neri (Via dei Neri, 9/11) – a small gelateria that has a real neighbourhood feel and was packed with families choosing their afternoon treat, also serving waffles and iced yoghurt. 2. The best pizza in Florence? 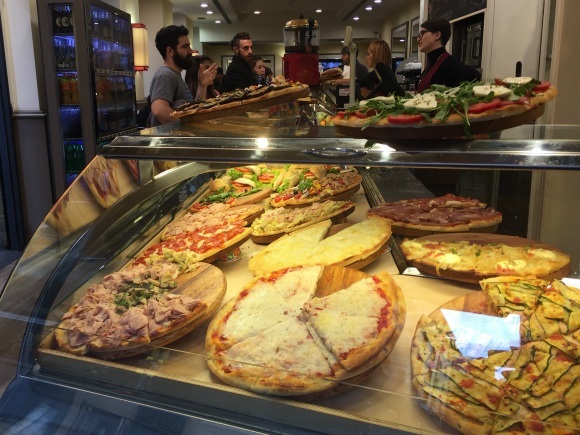 Another food you must eat in Florence, as all over Italy is of course pizza, which is best eaten as originally intended – a quick and tasty street-food. If you’re constantly on the move, trying to see as many of the glorious sights as possible, there are many stalls along the main tourist routes that will sell you a slice of pizza which they can heat up for you to eat on the go. Although I normally avoid those cafés that inhabit the prime position in a tourist hotspot, I couldn’t resist stopping at Café Rivoire. It has a terrace facing Piazza della Signoria – ideal for people-watching the crowds that swirl around the Palazzo Vecchio. You’ll pay a premium for waiter service at a table, but perhaps it’s worth it just to rest your feet after tramping the cobbled streets and take a break to watch the world go by. Since I was short on time, I did as the locals do and ordered directly from the bar, then stood at one of the small counters inside, which is much cheaper. I sipped a rich and smooth hot chocolate topped with whipped cream and from the cake counter selected a cannoli. This typically Italian pastry originates in the south and the crisp biscuit shell is filled with sweetened ricotta filling finished with candied orange peel. The sugar rush was quite enough to re-energise me to continue my afternoon of sightseeing. 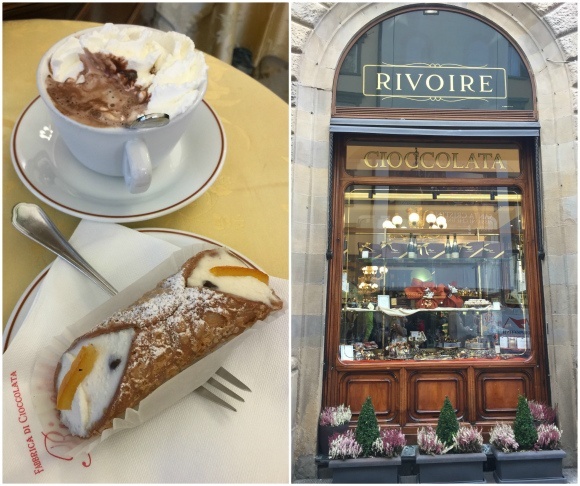 If you go: Cafe Rivoire, Piazza della Signoria, Florence. 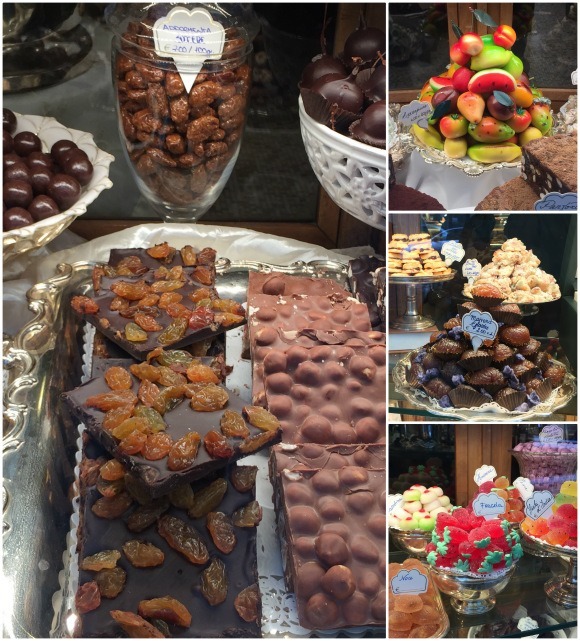 On Via Roma, one of the main thoroughfares of Florence’s Centro Storico, I was tempted by the sweet treats on display at Gilli. 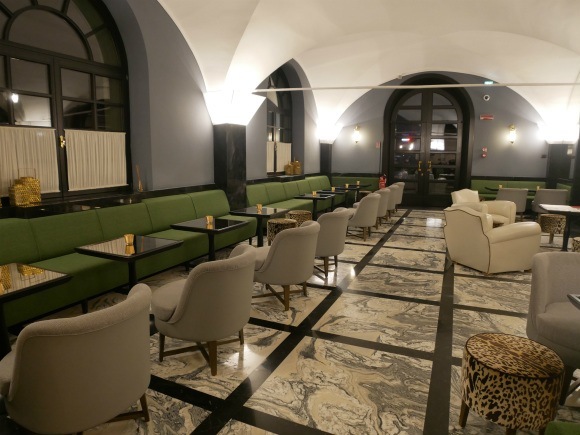 With paneled dark wood interiors, marble counters and an elegant terrace overlooking Piazza della Repubblica, it’s something of a Florentine institution for coffee and cakes or an aperitivo in the evening. 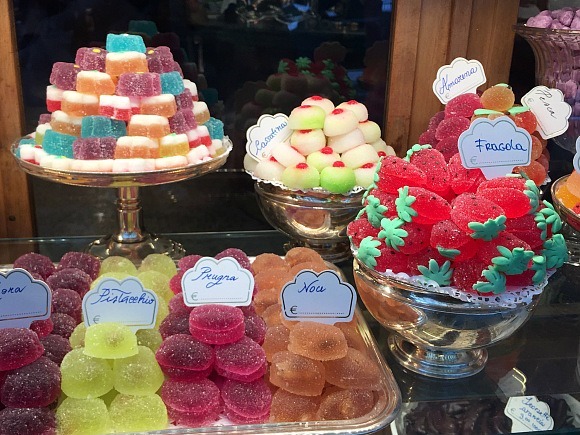 I couldn’t resist the displays of fruit jellies, marzipan fruit, chocolate praline and marron glacé piled on elegant silver trays and dishes in the window. This must surely be the place to stop and buy a sweet souvenir to bring home as a gift for your loved ones – if they last that long! 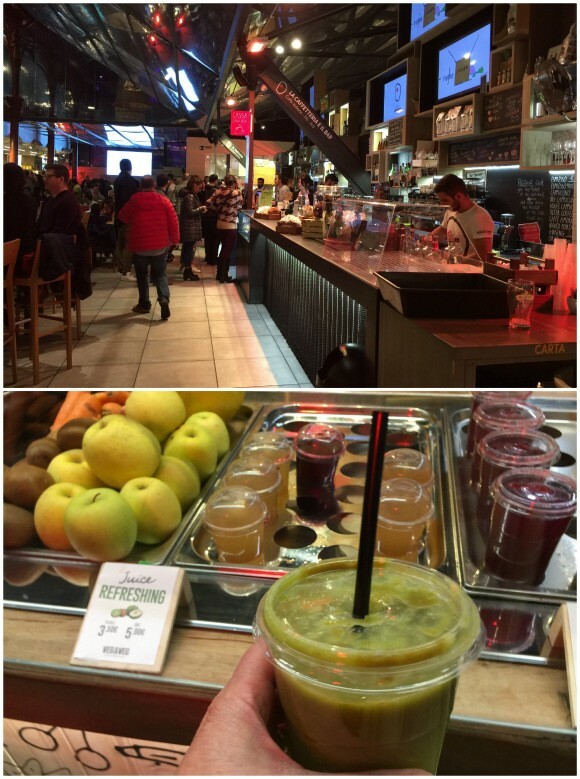 The Mercato di San Lorenzo or Mercato Centrale was one of my favourite places to eat in Florence. Downstairs are the traditional fresh food stalls that close in the afternoon, but upstairs is an amazing restaurant hall where you can choose from any of the stands selling different dishes. It’s perfect for families and groups of friends as well as the solo traveller, since everyone can wander around to choose whatever takes their fancy, place their order and take it back to one of the central tables to eat. The bar staff will also come around and take your drinks order, which you pay for separately, making it all so very easy. 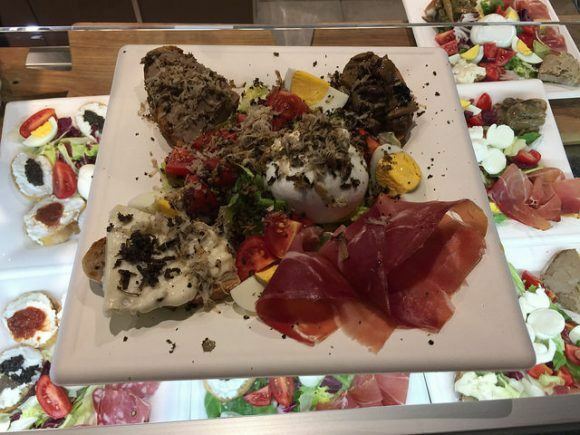 Having walked around the whole food hall, salivating over the oozing buffalo mozzarella and taking in the joyous atmosphere of friends chatting over a glass of Chianti, I was seduced by the fragrance of truffles wafting from Il Tartufo. From this stand, specialising in truffles, I chose a mixed plate of antipasti (€15) and watched as it was covered with a generous layer of truffle shavings – absolute heaven! Just to stay healthy after all the pastries I’d been snacking on, I also quenched my thirst with a glass of fresh pressed apple and kiwi juice with ginger (€5) from Marcella Bianchi’s Vegetarian and Vegan stall. I know I keep coming back to the Mercato Centrale, but if you’re looking for food souvenirs to take home, this is a great place to look for ideas. It’s a pleasure to wander around and admire the traders at work, butchers expertly cutting up meat, fishmongers fileting fish, the fruit and veg being arranged in attractive polished pile. 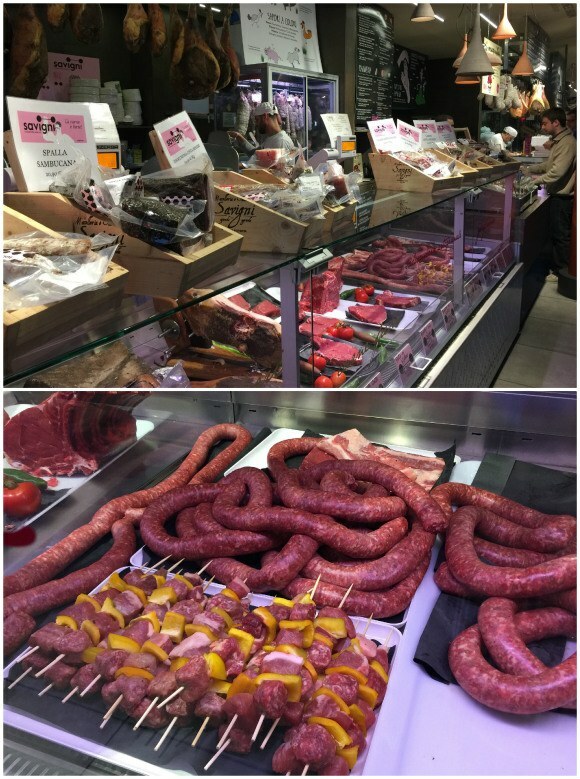 The deli stalls have plenty of dried sausages and other moveable feasts and you can buy dried mushrooms to enrich your stews back home and limoncello to remind you of those sun drenched afternoons. I also enjoyed a free tasting of cantucci, the twice baked almond biscuits in enticing flavours like almond and orange or chocolate and coffee at the icantucci stall in the market – a lovely treat to take home to dunk in your cappuccino mid-morning. We might feel a little squeamish at eating tripe, coming as it does from the lining of a cow’s stomach. In Florence it’s a traditional food specialty, a hearty home-cooked dish that you might remember your Nonna cooking you as a child. 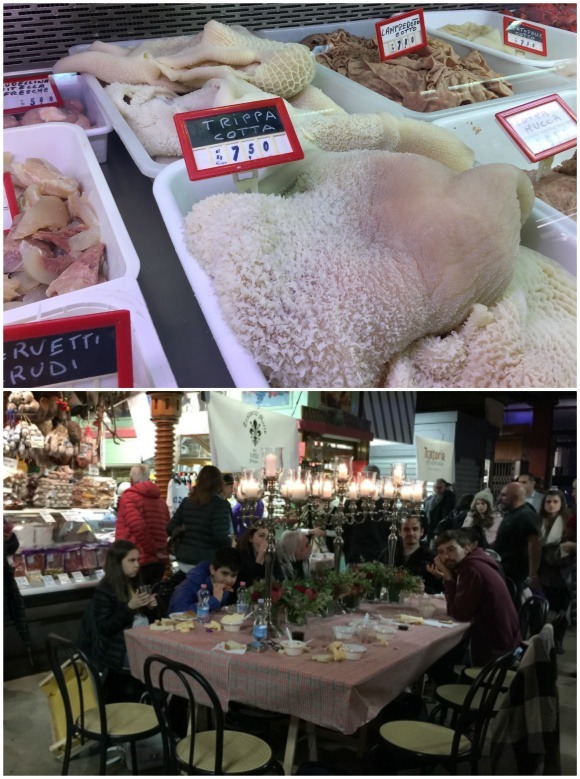 I even came across a tripe festival (part of the Bienale eno Gastronomica di Firenze) being held one evening downstairs in the Mercato Centrale, where a number of trattorias had set up their stall with a bubbling pan of tripe stew. For a couple of euros I could buy a small dish of stew served with bread from different vendors; some cooked with white wine and onions, others with a rich tomato sauce laced with olive oil. The flavour of the sauce was delicious, although there’s something about the gelatinous texture of tripe that takes a bit of getting used to. 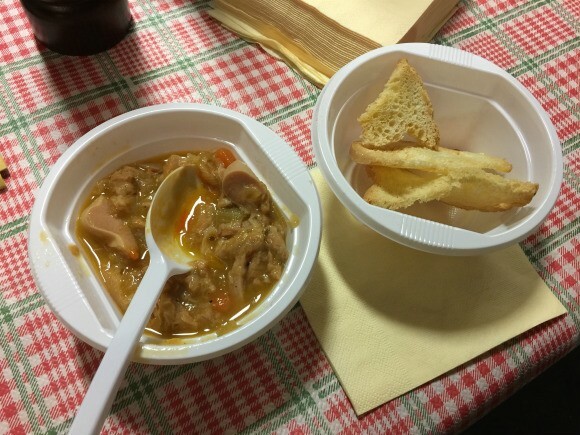 It’s clearly still a popular dish, since there are butcher’s stalls in the market that specialise only in lampredotto, and the crowds were flocking around Da Nerbone, the stall on the ground floor of the market that serves tripe for lunch in a bread roll. Go on – give Tripe a try! By now it must nearly be time for dinner, so we’ll follow the Italian custom of stopping at a local bar for an Aperitivo – time for a chat with friends before heading home for dinner or out to a restaurant. Of course you’ll find delicious Chianti reds from the vineyards of Tuscany and a glass of sparkling prosecco is always popular. If you’d like to try the local cocktail, order a Negroni. It was invented in Florence in the 1920s by Count Camillo Negroni, who one day decided to order his regular campari and vermouth with gin, instead of soda water. The Negroni is mixed with equal parts of red vermouth, gin and campari – which gives it a refreshing but slightly bitter taste, offset by the fruity vermouth and slice of orange. Personally I found the levels of alcohol a little strong for me, but you can always order an Americano which uses soda water instead of gin or the bright orange Aperol spritz that’s drunk all over Italy. 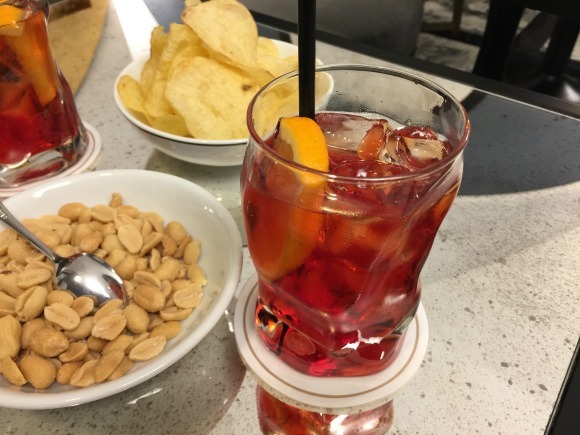 I tried my Negroni in the bar of the lovely Hotel Ballestri where I was staying with Citalia. The steak in Florence is renowned for its flavour and quality, coming from the Chianina cattle that graze in the surrounding Tuscan countryside. Traditionally the Bistecca alla Fiorentina refers to the T-bone that is cut in a thick slice and served rare with only a few minutes cooking on each side over a wood grill. This allows you to fully appreciate the flavour of the beef and even if the steak appears huge, it’s expected that you’ll share it among friends. In restaurants the Bistecca alla Fiorentina is normally priced according to weight (and it’s never cheap) so you should be shown the steak and told the weight before it’s cooked for you. 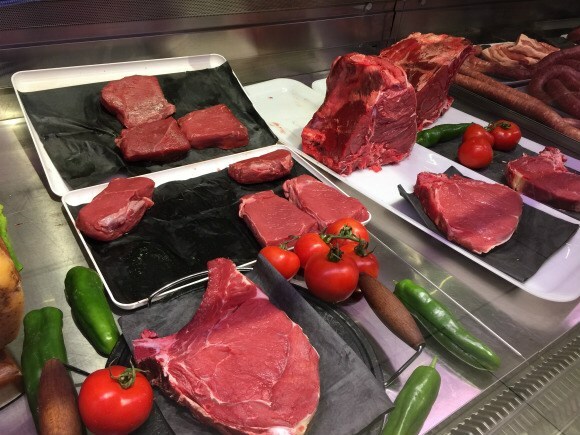 You’ll be able to enjoy a Bistecca alla Fiorentina in many traditional trattorias or osterias in Florence and if you’re upstairs in the Mercato Centrale look out for several stalls that sell steak, sausages and other meat dishes. 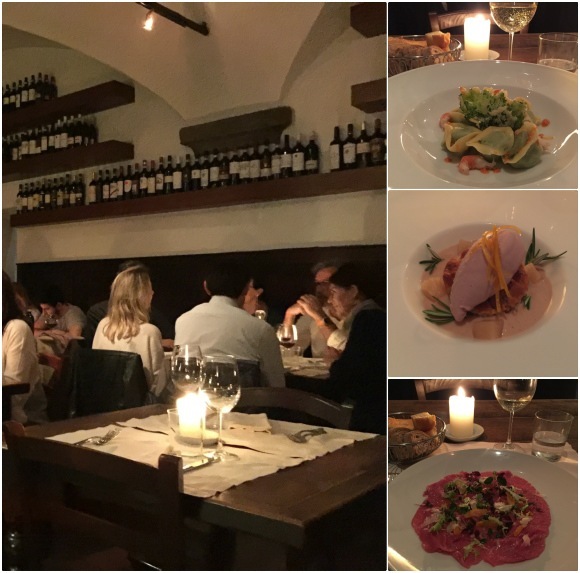 Crossing the Ponte Vecchio into the hip and trendy neighbourhood of Oltrarno across the river, I dined at a modern Tuscan restaurant, Il Santo Bevitore. This was a recommendation of the Citalia Concierge and was an excellent choice if you enjoy good food in relaxed but elegant surroundings. It was obviously popular with both locals and visitors and was getting busy as I arrived, so do ask your hotel to make a reservation. The white walls and simple wooden furniture were mixed with white table linen, heavy silver cutlery and fine glassware for an elegant take on the neighbourhood trattoria. The young staff were friendly and attentive, dressed in that trendy waiter’s uniform of jeans, with black t-shirts and aprons. Everything I ate was absolutely delicious, starting with a selection of different breads and a fresh local white wine. 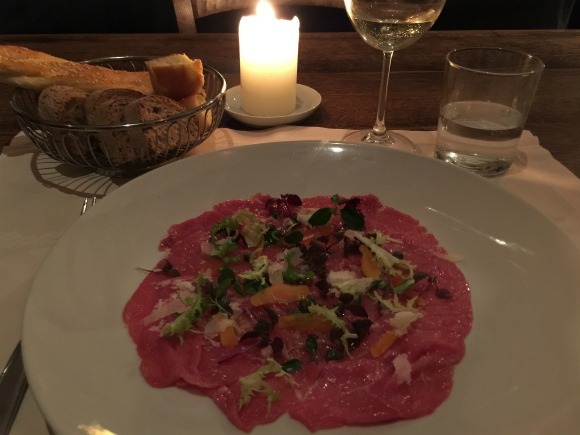 I ordered a small plate of spinach filled ravioli, in a butter sauce with shrimps and a wafer of grilled cheese, followed by a tender Carpaccio of marinated beef scattered with salad leaves and shavings of pecorino and egg yolks. The meal was completed with a mulled wine ice-cream served on a rosemary and raisin cake, surrounded by a pool of creamy custard and cubes of quince jelly. This is also a good choice if you are travelling solo as there are seats at the bar that are great to enjoy the atmosphere without feeling out of place. If you go: Il Santo Bevitore, Via di Santo Spirito, 64/66 near the Ponte all Carraia, Florence. My three course dinner with wine, water and service was around €50. 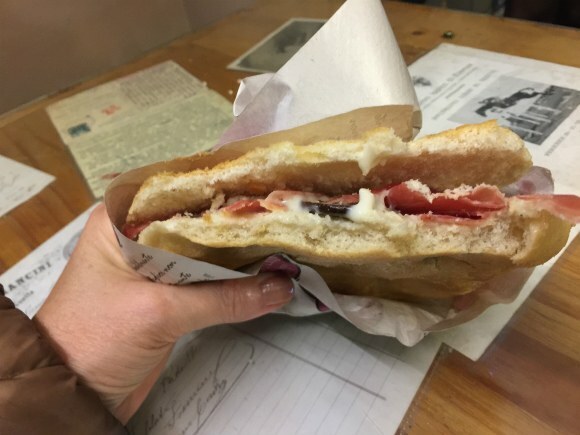 As a parting tip let me tell you about the La Prosciutteria where I enjoyed a delicious snack of prosciutto in a panini layered with cooked aubergines and garlicky aioli. On the recommendation of the Hotel Balestri concierge I popped in on my final afternoon for a snack before I left for my flight, and enjoyed the no-frills-just-good-food ambiance. The filled rolls are handed to you wrapped in paper to eat at a wooden table and you can also order sharing boards of prosciutto and cheese with a glass of wine. It’s conveniently close to the Palazzo Vecchio at Via dei Neri, 54 and they have branches in other cities like Rome, Milan and Siena. 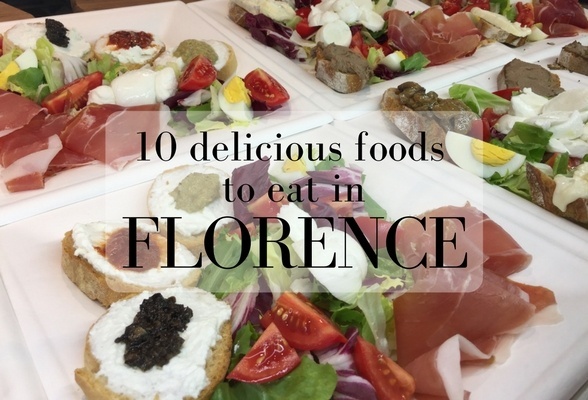 One thing you can be sure of is that you won’t be going hungry in Florence. 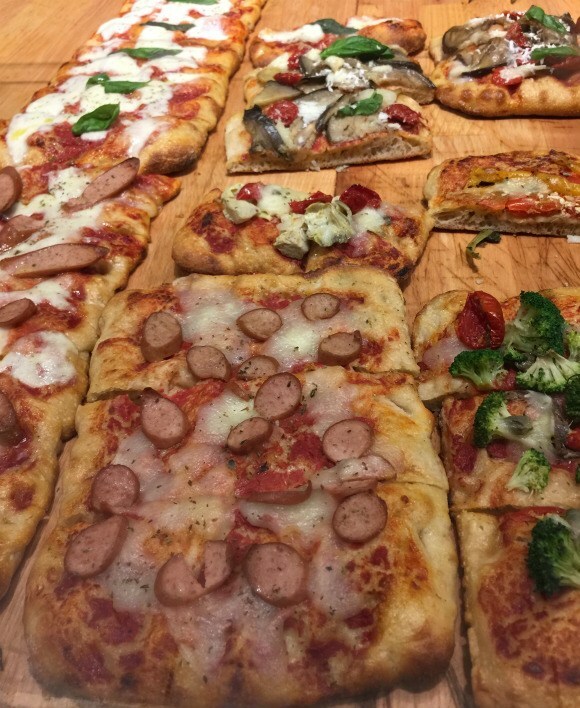 There are delightful family run trattorias, osterias and pizzerias wherever you turn, so follow your nose and ask the locals or your Citalia concierge for recommendations to find somewhere delicious to eat. 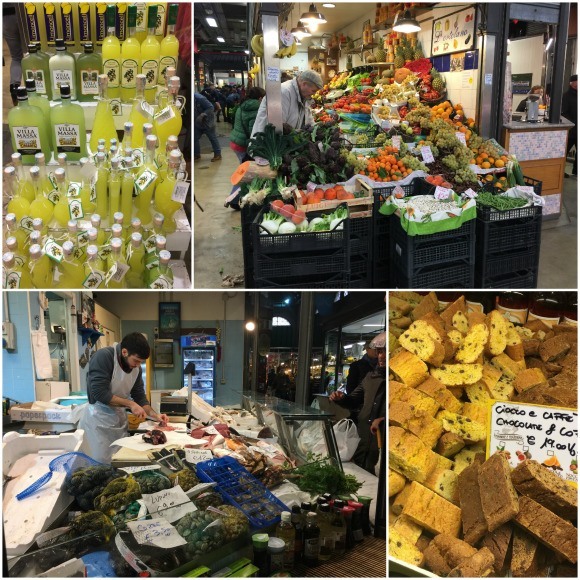 And if in doubt I’d just head for the Mercado Centrale to dine on their first floor – I could have happily eaten there for every meal of my weekend in Florence! Here’s my video that covers 18 things to do in Florence and the fun things that I enjoyed while I was there. I can highly recommend the four star Hotel Balestri where I stayed in Florence through Citalia, conveniently situated by the river, just 5 minutes from the Ponte Vecchio and 10 minutes from the Piazza della Signoria. My bedroom was spacious with clean, modern lines and plenty of wood and leather. The dark wood parquet floor, leather headboard and furniture had an art deco feel, with even the walls covered in a cream leather effect with decorative wood bands. The French windows opened wide to a lovely view of the river Arno and over the bed was a photo print of the coloured marble facade of the Duomo. 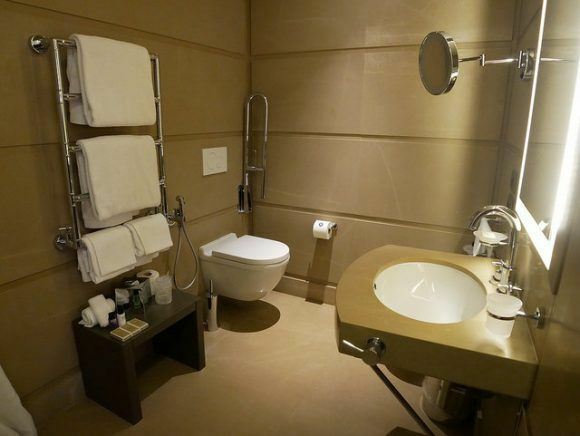 My luxurious bathroom was lined from floor to ceiling in light brown honed marble panels. The bathroom was modern with a large backlit mirror, plenty of shiny chrome fittings and shower set in the corner with water draining straight into the floor. The luxurious feel was completed with white monogrammed bath-robes, billowing white shower curtains, and plenty of nice toiletries. I wafted around in my marble bathroom enjoying all the space and feeling very spoiled indeed. Hotel Balestri does not have a restaurant, but that’s hardly an issue when there are so many excellent places to eat within an easy walk. There is a bar area that adjoins the reception and like the bedrooms, the style is modern with clean lines and a slightly art deco feel in the mirrored tables, marble floors and leopard-print stools. I found the hotel staff were extremely helpful and friendly, and were happy to make restaurant recommendations and bookings. 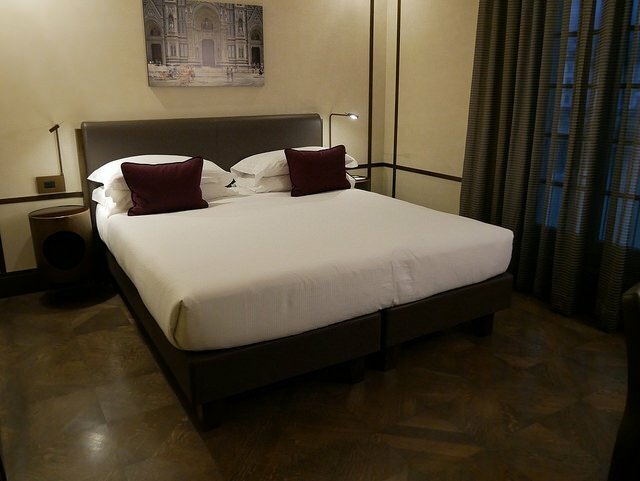 Hotel Balestri would be an ideal choice for those who want a well located, stylish and comfortable base for their weekend break in Florence, which can be booked through Citalia. 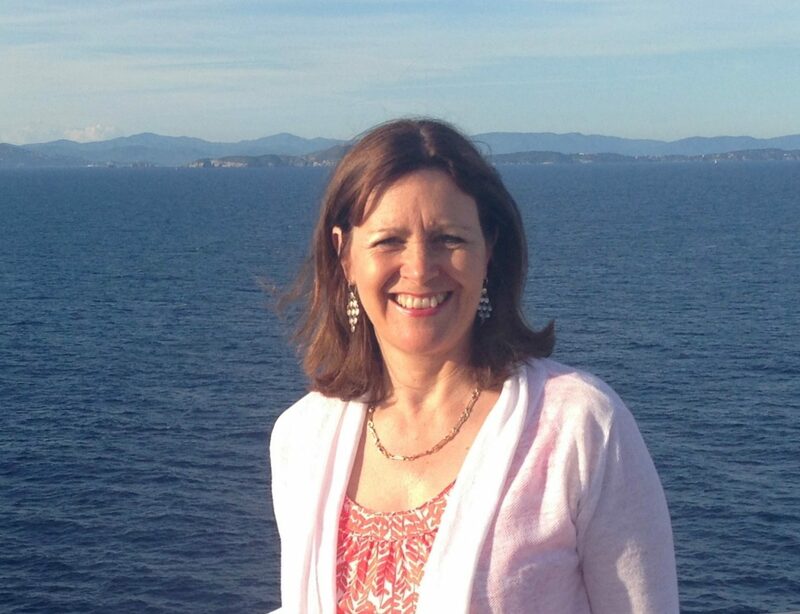 Thanks to Citalia who hosted Heather’s stay in Florence. This trip was part of a project between Citalia and Travelator Media. Wow. They sound and look delicious. How did you find time to do sightseeing with all that lovely eating !? Glad you had a great time and fab overview of the delights of Florence. What a tasty collection of great places to eat and drink. I have always wanted to visit Florence for the food and drink: now I know where to eat out too. @Kat Don’t knock the tripe – it was surprisingly good! Thanks Heather for the best itinerary plan!! It almost covers everything I ever wanted to do in Florence since long. I live and I work near Florence, I am a receptionist in a farmhouse and these are exactly the tips I give to my guests. It’s unusual to find, by a non Florentine, suggestions so precise! @Antonella I’m thrilled to find that my tips are in accord with the local advice! Wow! Great list and I really enjoyed looking at all the photos!! Photos are a major thing for me when planning food stops! Grazie mille! !